Malandra, William W. 2018. The Frawardīn Yašt. 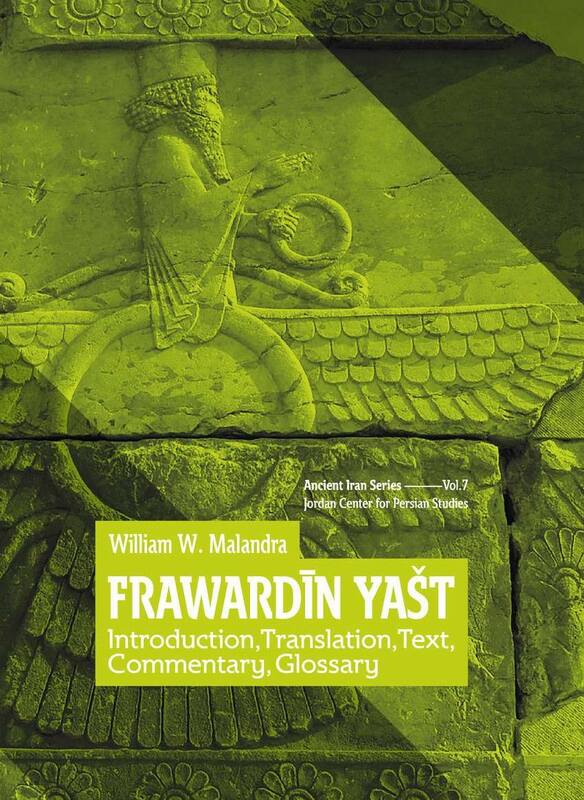 Introduction, translation, text, commentary and glossary (Ancient Iran Series 7). Irvine: Jordan Center for Persian Studies. With the encouragement of Professor Touraj Daryaee, I have undertaken a new edition of my old The Fravaši Yašt: Introduction, Text, Translation and Commentary, diss. University of Pennsylvania, 1971 [University Microfilms, Ann Arbor]. At the time when I wrote the dissertation I was very much under the influence of W. B. Henning’s “The Disintegration of the Avesta Studies” and the then recent book by I. Gershevitch The Avestan Hymn to Mithra. I expressed my misgivings concerning Henning’s stress-accent theory in my Preface, but was not prepared to tackle the issue, and thus treated the text as if it were prose. In the years since it has become abundantly clear that much of the Yašts were originally composed in verse, as best articulated by K. F. Geldner in his Über die Metrik des jüngeren Avesta (1877). Thus, Part II of the present work is devoted to a study of metrics and their importance for understanding the formation of the Yašts and particularly the Frawardīn. In order to make manifest the structure of Avestan poetry I have laid out the translation and text according to my construction of the Avestan.